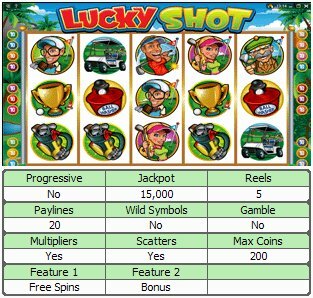 Overview: You dont have to be a golf pro to enjoy this game. 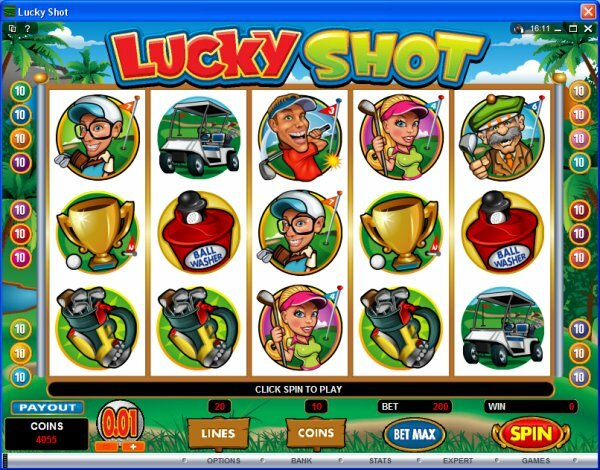 Give it your best shot along with your team of colorful golfers, including a blonde beauty, loveable old man and handsome coach. 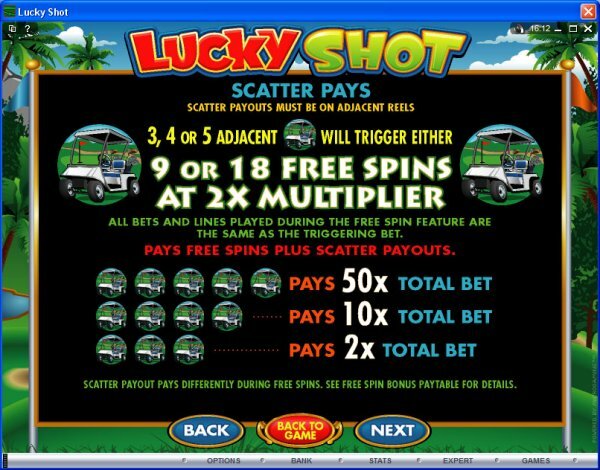 The game features doubled opportunities to win significantly through Free Spins and Multipliers, Scatter rewards and a second screen Bonus game. 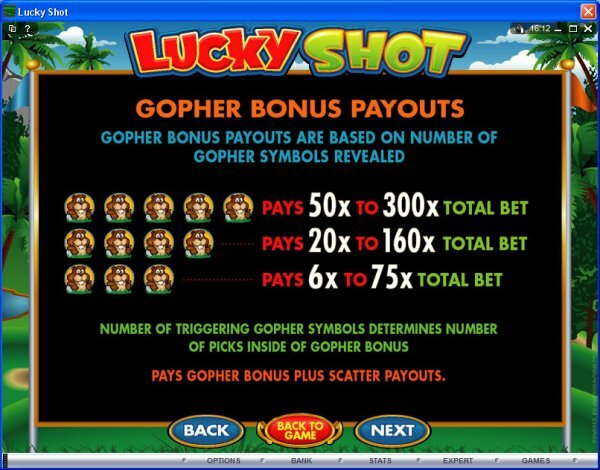 Look out for the gopher symbol, a cheeky rodent that brings several chances to win when it appears, and the golf cart that delivers Free Spins aplenty during the game. 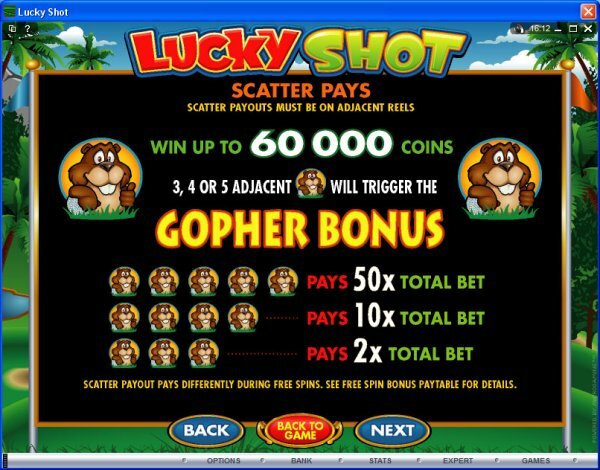 Similar Slots: If you like Lucky Shot, you might like these other 5-reel slot machines: Double 0 Cash, Kings and Queens, Muchos Grande, Pedal Power, Skull Duggery, The Adventures of Galactic Gopher.